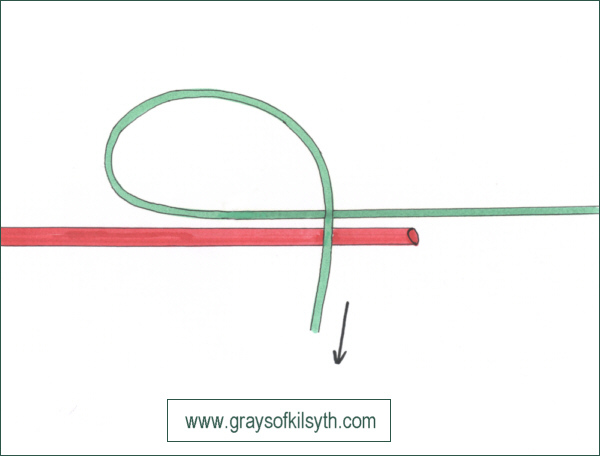 The diagram below shows the main connecting knots in fly fishing, i.e. 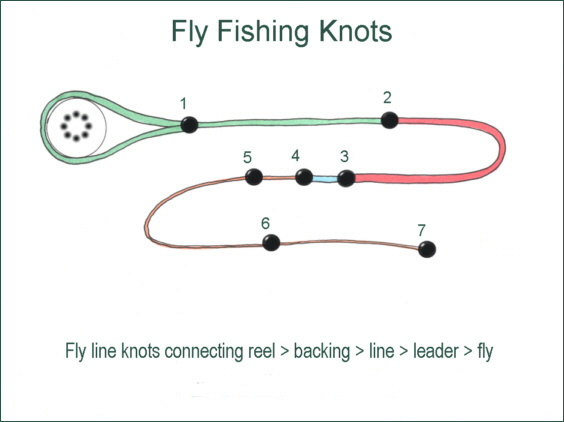 from reel to backing line; backing line to fly line; fly line to fly leader; fly leader to fly, with the addition of a dropper to attach a second fly. 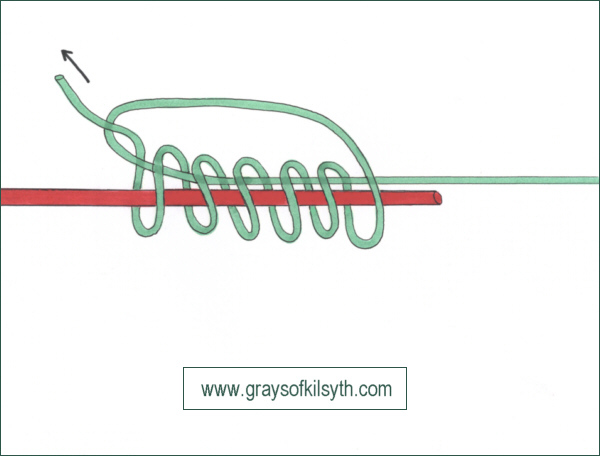 This is a simply tied knot for attaching the fly line to the fly line backing, as illustrated below. 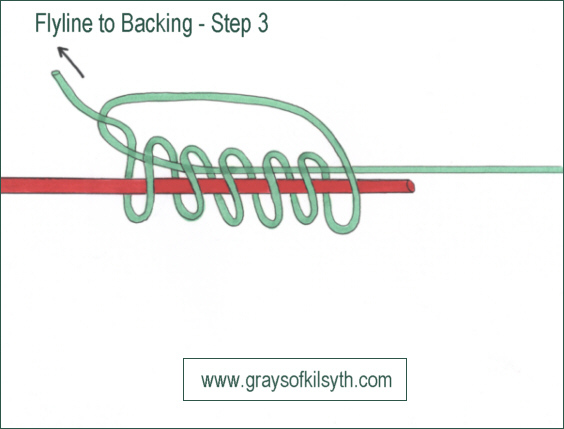 This is a simple method of attaching most types of backing line - nylon monofilament, dacron, braided terylene or twisted nylon - to a traditional type of fly line i.e. 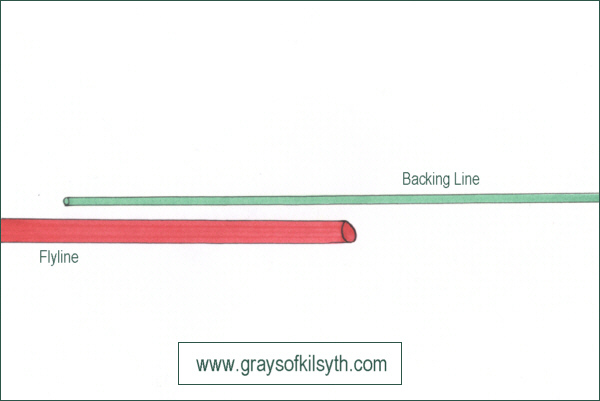 a PVC coated, terylene core fly line. It should not be used with hollow braided nylon backing line, nor is it suitable for some modern lines with multistrand or monofilament cores. Step1 - Overlap the fly line and backing line by around 12 inches. 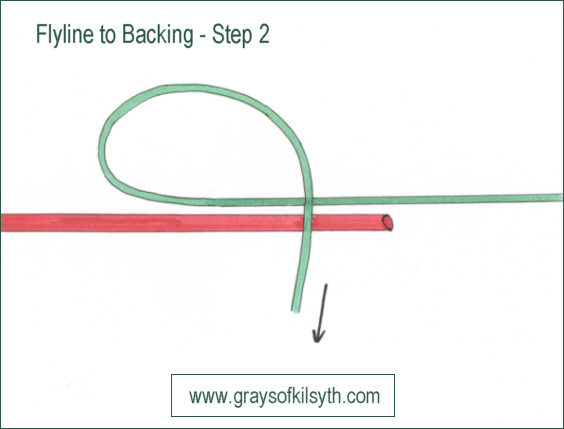 Step 2 - Take the end of the backing line and fold it over itself and the fly line to form a loop and grip the point of overlap (A) firmly between the thumb and forefinger of the right hand. 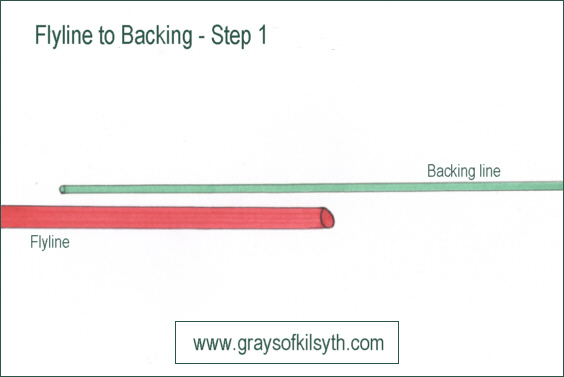 Step 3 - Bring the end of the backing through the loop half a dozen times times. 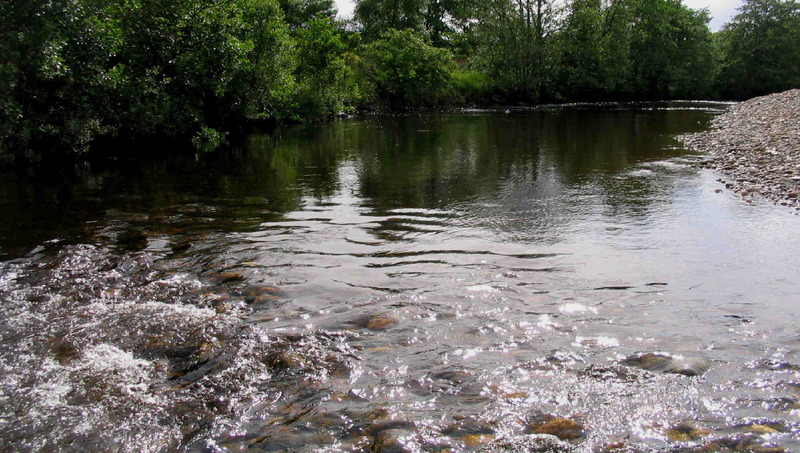 Step 4 - Carefully draw the turns together while sliding the whole knot towards the tip of the fly line. With the turns of the knot touching, pull steadily on both ends of the backing until the knot grips the fly line tightly. 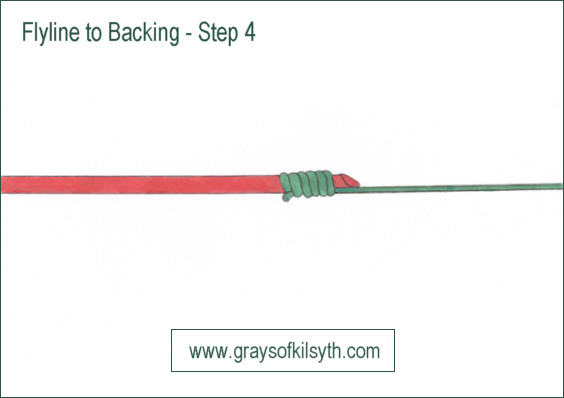 Check the security of the knot by pulling the backing and fly line firmly in opposite directions. When satisfied, trim the ends closely. 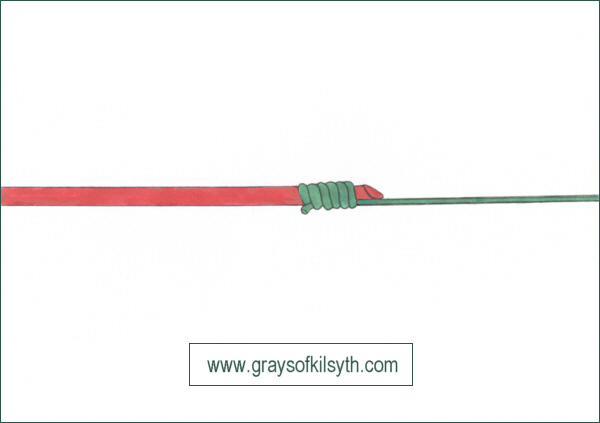 This knot can also be used to tie a nylon leader directly to the end of a braided core fly line.